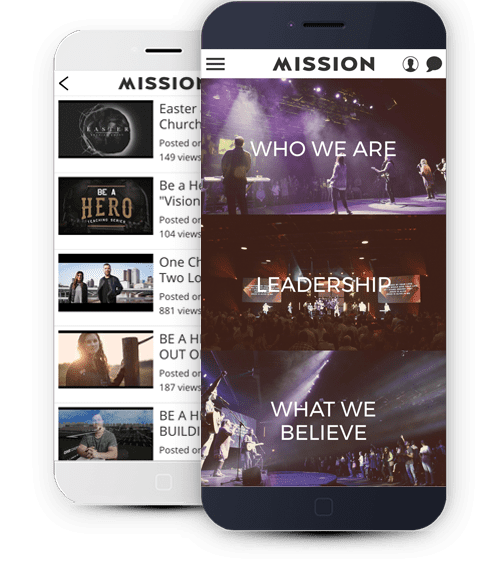 Mission church mobile apps are available on Apple, Android and HTML 5 versions. Church mobile apps have statistically the highest engagement with your audience during the week. Now people can stay up to date with what's going on or what they missed 24/7/365. Do I need to have a registered developer account? Yes you do. You will need to register a developer account for your organization with Apple and Google Play. After you are done designing your church mobile app and you're ready to get it published your app will go through a review process with Apple and Google Play before it will go live. Typically an app is reviewed and accepted within 7-14 business days.